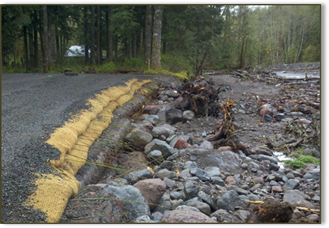 Prepared a bank stabilization design for approximately 200 linear feet of Sandy river bank that was recently severely eroded during the January 2011 high water event. This site is unique in that the river changed course and now flanks the opposite bank than pre-event. 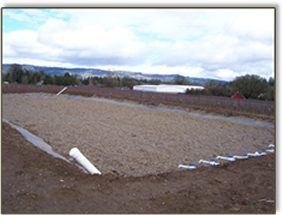 This allowed for the site improvements to be constructed outside of the water and the project was constructed during the late fall months. 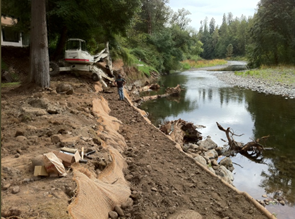 FDG is prepared a bank stabilization design for approximately 230 linear feet of a severely incised stream located near the Yale Dam in Cowlitz County, WA. The design alleviates a 4ft vertical grade drop in the channel to terminate the stream from continuing to head cut upstream by integrating low head rock wiers as grade control structures. 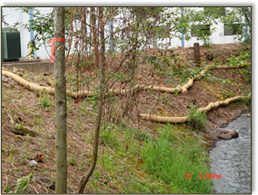 FDG performed the survey base mapping, the hydrology/hydraulic analysis to evaluate wier stability during high flow events and prepared the construction plans. 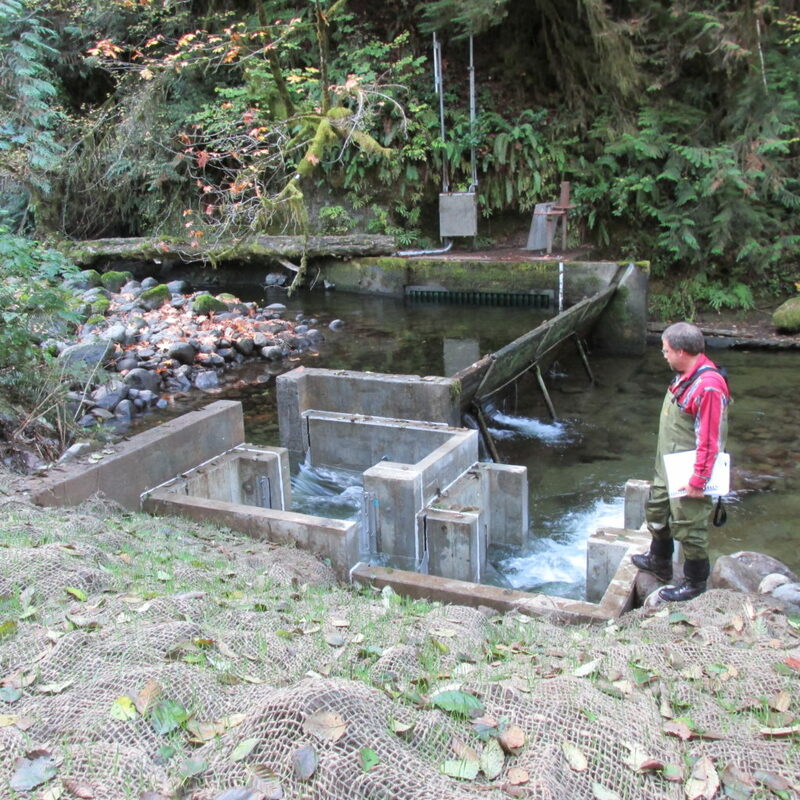 FDG teamed with GHD to provide the City of Portland Water Bureau with a fish passage design to alleviate the current fish barrier on Alder Creek at a municipal water diversion structure. FDG performed the survey base mapping, hydrology and HEC-RAS hydraulic analysis in support of the passage design GHD prepared.